B.A. Johnston returns with yet another album to add to his ever-growing banquet-sized merch table. True to form, this album sounds like a recording of your drunken uncle singing during thanksgiving dinner. Backed by a department store keyboard and a beat-up acoustic guitar, Johnston’s famed brand of Canadiana talk-singing has developed a cult following across the country. 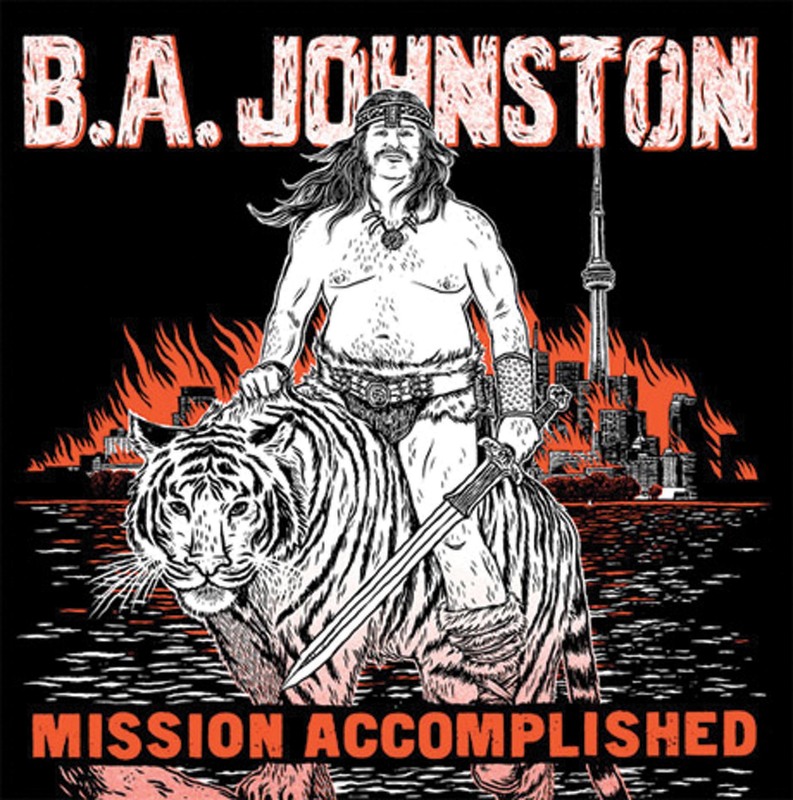 His newest album, Mission Accomplished, is sure to provide a solid dose of humour with songs touching on topics such as eating doughnuts from Tim Hortons and wishing it were a Krispy Kreme instead, drinking a certified cold Coors Light beer while playing video games, and Luke Skywalker feeling embarrassed about thinking Princess Leia is hot after looking her up on ancestry.com. While truthfully B.A. Johnston isn’t the best singer you’ll ever hear, and most of the time his songs seem to be nothing more than the ranting of a bored, middle-aged man with a love for pop culture, all of that becomes irrelevant when one experiences his live show. Singing from atop a vending machine, taking the whole show out into the alley behind the venue, and commanding sing-alongs galore, Johnston is as outrageous as he is hilarious, and his antics will have you converted to a B.A.-liever in no time. Venture down to the Windsor Hotel on Friday, Sept. 20 to catch a set by B.A. Johnston, Smoki Tyger, and local rockabilly legends, the Farrell Bros.